Bricks 4 Kidz provides awesome Saturday Morning Clubs for your little master builders aged 5-12 throughout South County Dublin! Bricks 4 Kidz are delighted to announce we will be providing our legotastic Saturday Morning Clubs throughout South County Dublin. These fun and educational clubs are designed to teach the principles of Science, Technology, Engineering and Maths (STEM) and will provide your little master builders with a unique opportunity to learn, build and play with LEGO® bricks. All our Saturday morning clubs are led by Garda Vetted and fully trained Lego tutors. The clubs are for girls and boys aged 5-12 children. While children are having fun, they are also developing important life skills such as problem solving, communications and spatial intelligence, whilst also enhancing their self-confidence and self-esteem. 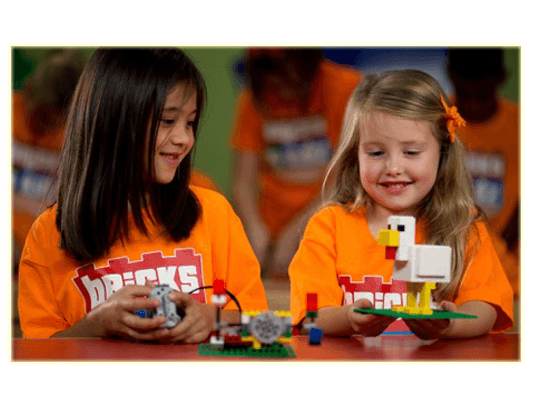 The Bricks 4 Kidz approach to learning is imaginative, multi-sensory and fun, creating a dynamic learning experience for your little master builders!